When 'be yourself' got stuck in my mind and I was like 'ok, this is going to be the next reminder', the first thing that came up to me was to read the reminders Love yourself more and Say what you think because I felt they had to do with it. 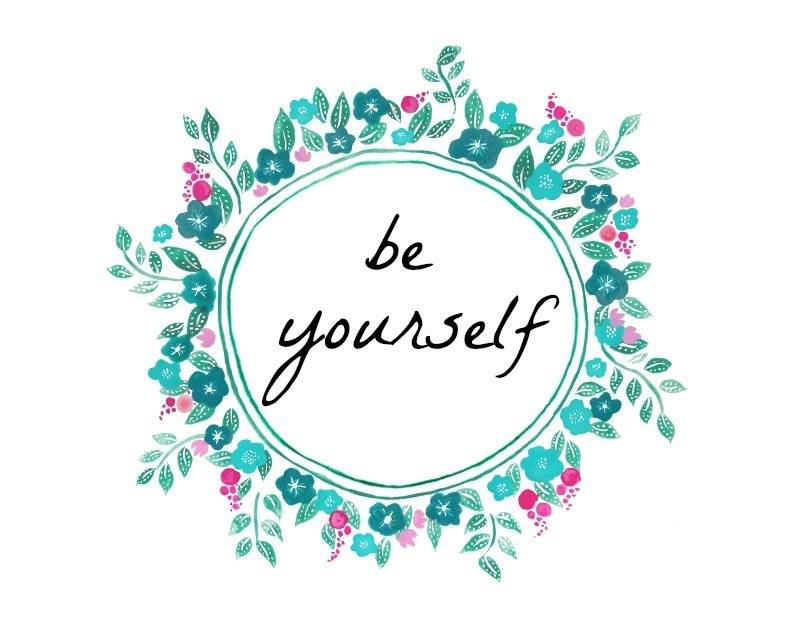 But I realized I wasn't exactly thinking about the message 'be yourself' when I wrote them so here I am actually thinking and writing about it today. How often do you not say or do something because you're worried about what others may think? In the past weeks I've been thinking a lot about it and came to the conclusion I do it more often than I'd like. How much me I am? How many times do I neglect myself to please others and fit in? Do I show myself as I am? And what about you? I don't want to live by others standards. I really need to stop looking for approval and trying to please everyone. I want to live without worrying too much about how I appear to others and what they might think or say about me. Because I've already realized I'm not happy in that way. In the past weeks I've noticed changes in the way I see myself and I'm loving it. I'm starting to build up self-confidence and self-love, which leads me to believe in myself and I've never felt so empowered. Things are becoming clearer and little by little I'm starting to know and accept myself. I didn't wake up filled up with confidence, I'm working on it and I think it's all about prioritizing ourselves and saying 'ok, I need to focus more on myself and just be exactly who I want'. Am I weird? Ok, I'm going to embrace that weirdness. There's really no need to be ashamed to like what you like or not like what others do, don't be afraid to be who you are. To songs, clothes, movies, food, dreams and everything else. Loved reading this! So inspiring and it really makes me think about... being me! Hoper you're doing great, love! Well, I got a massive cold this week and my voice is nearly gone, but I hope I feel better in the next days. Thank you for asking! Also, I totally agree with that! I love this! Such a simple but important message, that many of us often forgets in this world where we all compare ourselves to each other :) Great post and so well written :) I am a new follower.